Anyone who's spoken to me knows how much I love the Estee Lauder Re-Nutriv line. So when I used up the last of my Re-Nutriv Ultimate Youth Creme, I freaked out a bit ... because not only is it the best moisturizer I've ever used, but it's a whopping $250. Yes, $250! And it's actually one of the few products I'd say is completely worth it ... but yikes. Who has that kind of money these days? Luckily, I had some Ultimate Youth Eye Creme on hand that I decided to use in a pinch. And you know what? It's not just an eye cream, fellow beauty chicks! This works just as well as an allover moisturizer. It left my skin feeling hydrated, dewy and fresh -- and it stayed that way all day! 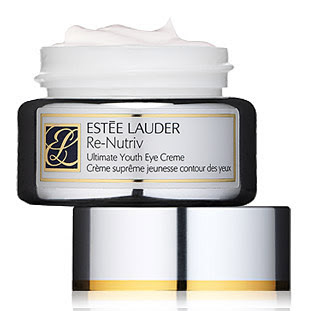 Estee Lauder Re-Nutriv Ultimate Youth Eye Creme retails for $100.